About half a day removed from an attempt on neighboring Mount Washington, I was driving out to the Appalachia parking lot on Route 2 to start a follow-up attempt on New Hampshire’s Mount Adams and watching the temperature fall – and fall, and fall, and fall. There was a fair amount of snow on the ground at the trailhead but it was still relatively easy to get on the right course and start heading up the trail shortly after dawn. 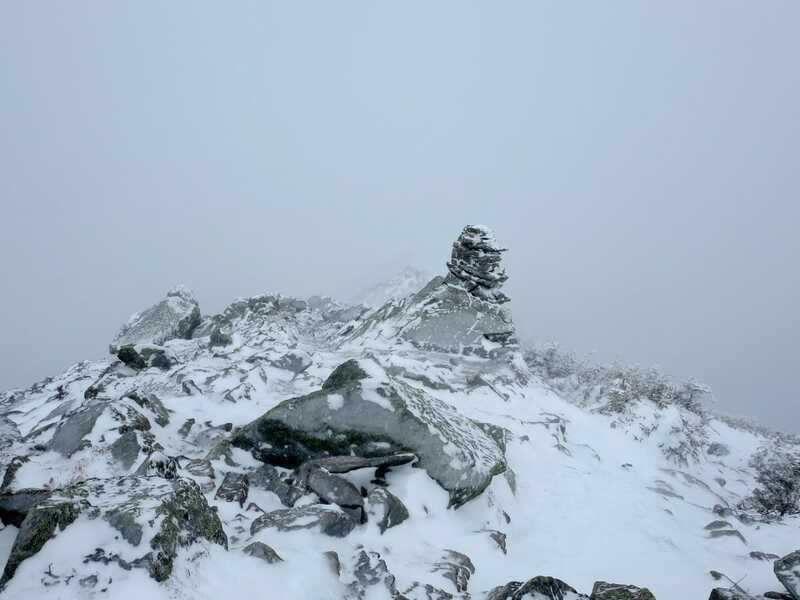 When I reached the start of the Airline Route, the air temperature read a balmy -6 degrees F.
Welcome to winter hiking in the Presidential Range of New Hampshire’s White Mountains. 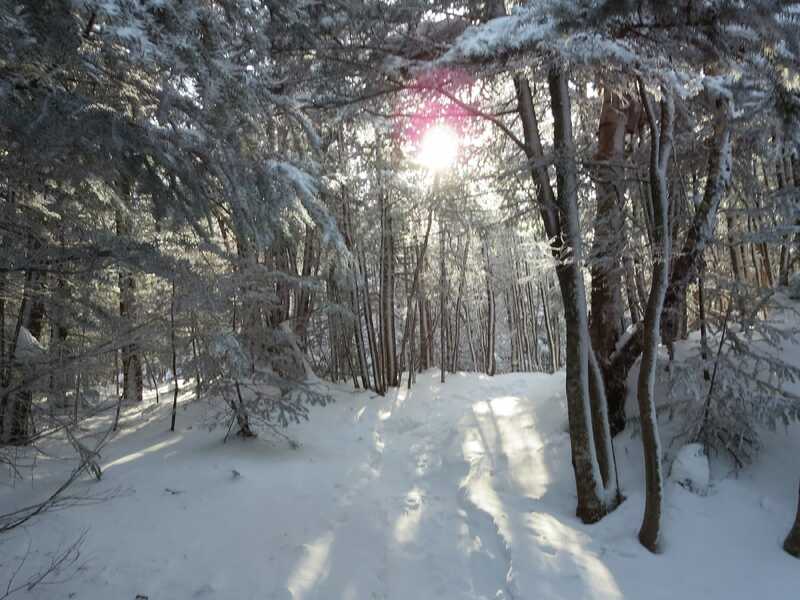 Being under the tree line helped block the wind in the early miles, and the sun peeked through gaps in the trees to further help mitigate the cold temperatures. 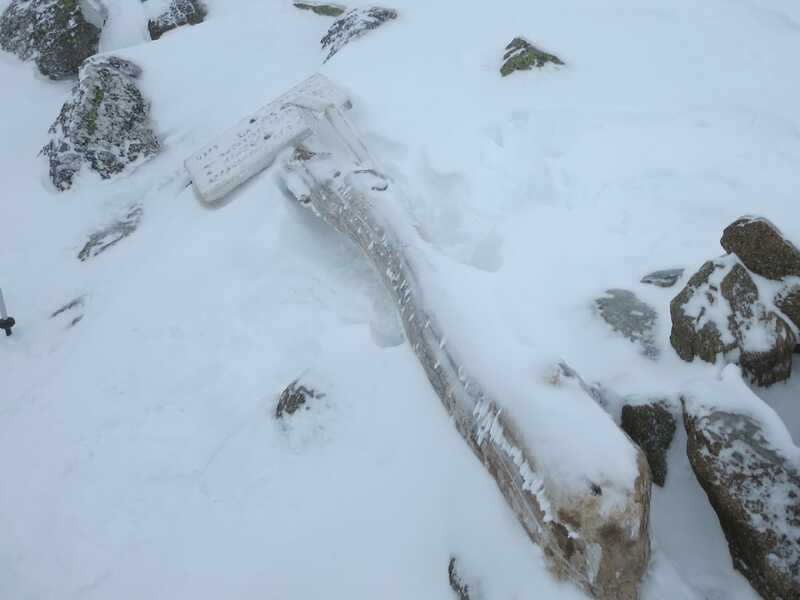 As the route progressed upward, the trail became buried under more and more snow. 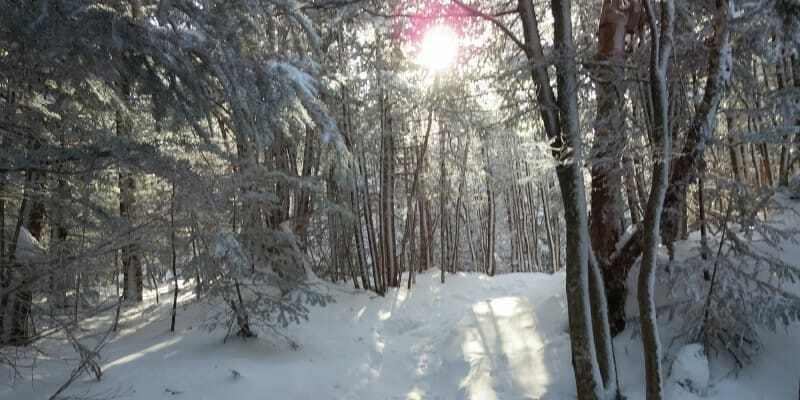 I encountered short stretches of trail with knee- and even waist-deep snow. The conditions warranted snowshoes on some stretches, but overall – across the entire mileage – my microspikes were more helpful. The mix of steep, icy sections and deep powdery snow made for slow travel regardless of gear. I reached the tree line about an hour later than hoped for as the snow started falling harder and harder. The sun was long gone and the winds had been steadily picking up as I gained elevation. 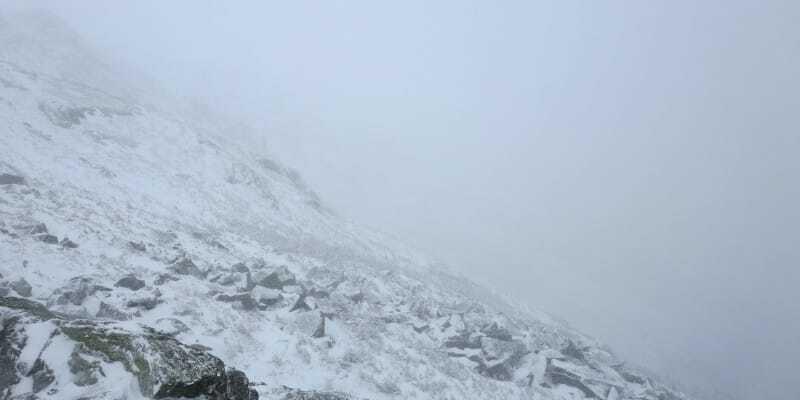 I reached the most exposed section of the trail – including the infamous “Knife Edge” – and did my best to stay on course with limited visibility. 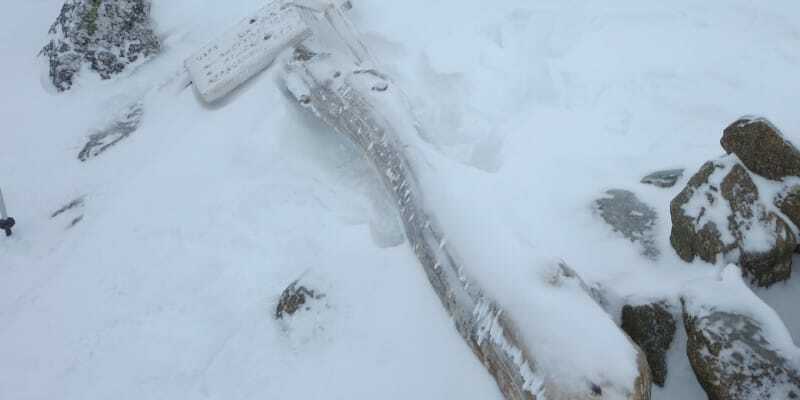 After fighting through the wind and snow for maybe a half mile, I reached the Gulfside Trail junction only to find the sign ripped out of the ground by the elements, lying on its side covered in snow and ice. 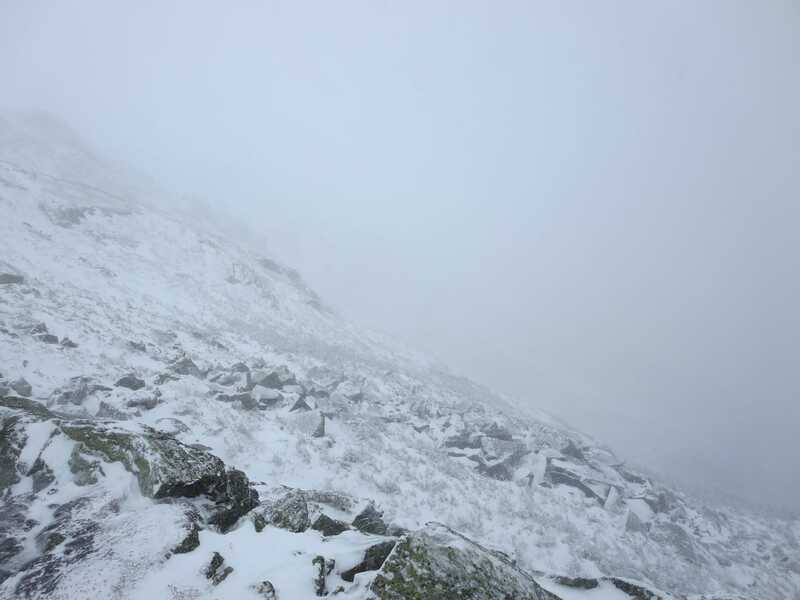 A day earlier on Mount Washington the winds were stronger and it was colder but visibility was much better. I considered my options for a few minutes while slowly ascending. 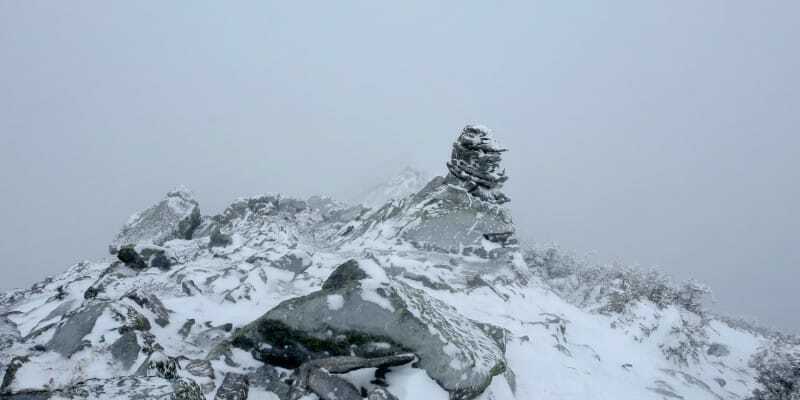 Standing in a whiteout and not being 100 percent sure of the route, I decided to turn and head back down. A Mount Adams summit will have to come another day. Looking back, I shouldn’t have had as hard of a decision turning around as I did. In hindsight, the answer was obvious. I’m glad I made the decision to turn, but I think next time the decision will come sooner. The weather wasn’t perfect on this day but I had complete solitude on the trails. I didn’t cross paths with a single person all day, until returning to the parking lot at about 2 pm. But that’s a different story for a different day.